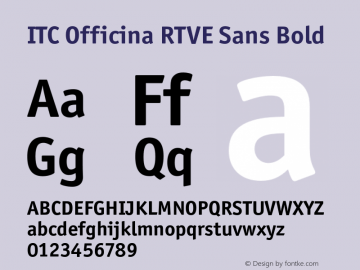 Officina Sans ITC Bd It font family series mainly provide Regular and other font styles. Officina Sans ITC Book font family series mainly provide Regular and other font styles. Officina Sans ITC Book It font family series mainly provide Regular and other font styles. 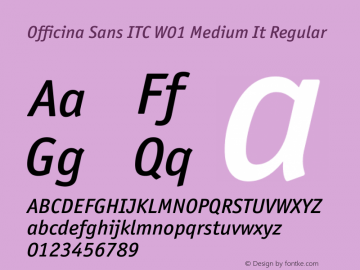 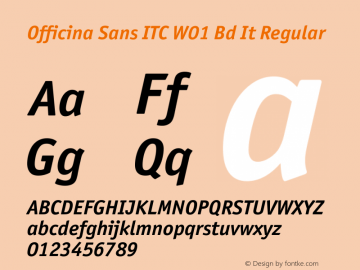 Officina Sans ITC Medium It font family series mainly provide Regular and other font styles. ITC Officina Sans Book font family series mainly provide Italic,Regular and other font styles. Officina Sans ITC Book font family series mainly provide Regular,Italic and other font styles.